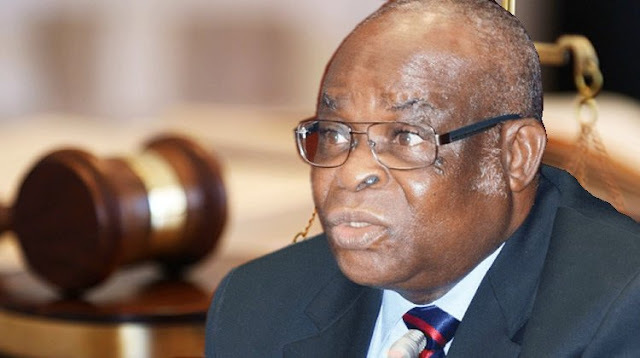 The Code of Conduct Tribunal, CCT, Monday was treated with a rude shock as Onnoghen’s witness, Lawal Olarewaju was uncovered with a piece of white paper allegedly programmed as his memory aid. This discovery followed a cross examination by the prosecution counsel, Aliyu Umar, SAN. Under cross examination, Umar asked Olarewaju who is the defendant’s official driver what he was doing with the piece of paper he saw him fumbling with inside the witness box. In his words, “I saw you while fielding questions from the defence counsel with a piece of white paper. In response, the witness said, “The piece of paper belongs to me. It is my own handwriting”. This development caught the attention of the CCT chairman, Danladi Umar who demanded to see the suspicious paper and, eventually seized it as exhibit. But fielding question from journalists the after adjournment, Umar hinted that the piece of paper found in custody of the witness suggested he was a false witness. However, the defence counsel who also vetted the piece of paper told the court he has no objection over the paper found on Olarewaju.